Sonoma Victory Lane: Tony Stewart ends a 3 year, 84 race winless drought, and grabs an emotional 8th career road course win, plus assuming he makes up just 9 points he will be in the Chase. 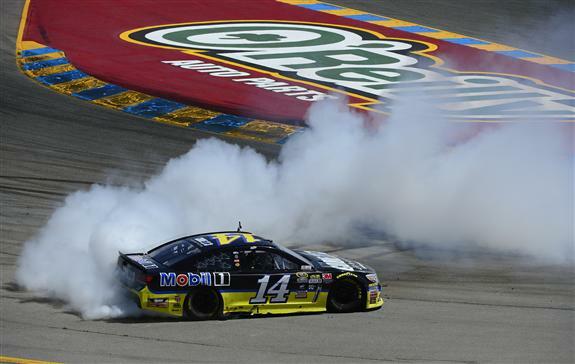 No driver has clinched a top-10 position with seven races remaining in the Race to the Chase. But it’s become obvious that it will take a Herculean effort to dislodge one of the fortunate 10. Tenth-place Brad Keselowski has a cushion of 46 points – virtually one whole race – over Carl Edwards. Kasey Kahne and Kyle Busch are 66 and 68 points, respectively, outside the top 10. Matt Kenseth, Dale Earnhardt Jr., Greg Biffle and Jimmie Johnson – ranked one through four – pretty much have separated themselves from the pack. Johnson leads fifth-place Denny Hamlin by 28 points. Contrast that with the 15 points separating Hamlin and 10th-place Brad Keselowski.